Chemistry has revolutionized human life and it has affected each and every one of us in some way or other for the past several decades. We were happily using these chemicals in our everyday life without really understanding their side effects.Individuls and companies who invented and commercialized chemical products were keen to offer end products to consumers often without explaining the side effects of such chemicals.They themselves were not fully aware of long term consequences of such chemicals. Classical examples are Chlorine and its derivatives. Chlorine is a common chemical that is used even today in many countries to disinfect drinking water in water treatment plants. Their usage is sill continued though they found that Haloalkanes, which are formed by the action of Chlorine on decayed organic leaves in water storage, causes cancer (carcinogenic). DDT is another chemical that was used widely as a pesticide, known as “atom bomb of pesticides”, until their side effects proved deadly for human beings and to the environment. It was officially banned in USA in 1972 by EPA, though it is still continued in some third world countries. Bleaching powder in another example of powder disinfectant ( a popular form of disinfectant used on roads in India when prominent political leaders visit municipalities; though they are only chalk powder with no traces of residual Chlorine). A whole range of dyes known as coal tar dyes derived from coal were used in many applications including ‘food colors’, later substituted by petroleum based organic chemicals. These ‘food colors’ are now substituted with ‘natural organic colors’ such as vegetable colors derived from vegetables and fruits. Industrial chemicals, both organic and inorganic have caused serious environmental damages all over the world for several decades, but Governments, companies and EPA did not realize the deadly consequences of some these chemicals for a long time. The ‘Bhopal Gas tragedy’ in India is one such grim reminder of such consequences. 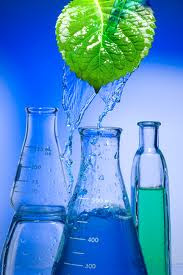 Chemicals are not natural products even though one can separate them into various organic chemical molecules but some of the consequences of such separation and usage are not fully understood. Many natural herbs have outstanding medicinal values and when consumed in a Natural form, it has absolutely no side effects and they show tremendous therapeutic values. But when you isolate certain molecules from such herbs (Alkaloids) and used as a drug, they can cure a disease but at the same time, they create many side effects. Nature offers such drugs in a diluted form that is quite compatible to human beings. One such example is ‘Vinblastine’ and “Vincristine’, anti-cancer drugs derived from a herb called ‘vinca rosea’. 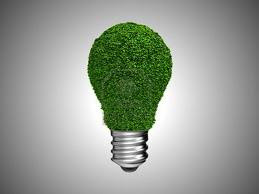 Of late there is awareness among companies, people and Governments about Green technologies that can help protect the environment. Greenhouse gas and global warming is one such issue. 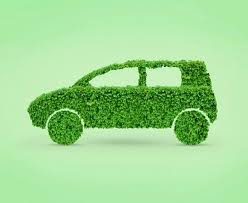 When Petrol or Diesel, an organic chemical known as Hydrocarbon is burnt, it not only generates power but also emits greenhouse gases such as Carbon dioxide and oxides of Nitrogen, that cause globe to warm. We were happily burning away such fossil fuels until scientists raised an issue on emission of ‘greenhouse gases’ in recent past. When we deal with chemicals and chemical reactions, the molecule is transformed into a new molecule and often such reaction cannot be reversed.It is not a physical change but a chemical change. When we convert water into steam, we can get back water by condensing steam; but when you convert Chlorine into PVC (Poly vinyl chloride) plastic, there are environmental consequences and reversing PVC into Chlorine gas in not easy, though it is technically possible with environmental consequences. One has to observe and learn from Nature what is good and what is bad when developing a new technology, because such development will not only affect the environment but also many generations to come. When Nature teaches how to turn sugar into Alcohol by fermentation using air borne microorganisms, we should follow Nature to make alcohol. We know how to turn Alcohol into PVC, but we do not know how to make biodegradable PVC from Alcohol. Companies call it ‘Green Chemistry’, but not until we can make a biodegradable PVC. Human knowledge is imperfect and we can only learn ‘Green chemistry and Clean Technologies’ from Nature and not by deviating from the path of Nature. legal concept that stands for the proposition make fish an independent sovereign can do no wrong and can't be sued absent its consent. phone, computer, game console as well as the like payday loans mn so which they can make sure how the borrower will be capable to spend the money for a reimbursement. well be enthusiastic about investing your company.